Automobile development is a constant process of evolution. Since the introduction, cars have changed significantly the way they look, due to the evolving design trends and safety preferences. From old cars that looked like horse drawn buggies to the big bloated boat-like cars of the 1950s, to the ones that you see today, automobiles have significantly changed the way they look & perform. Older features are constantly being replaced with newer & better functions. One such thing is the door handles. 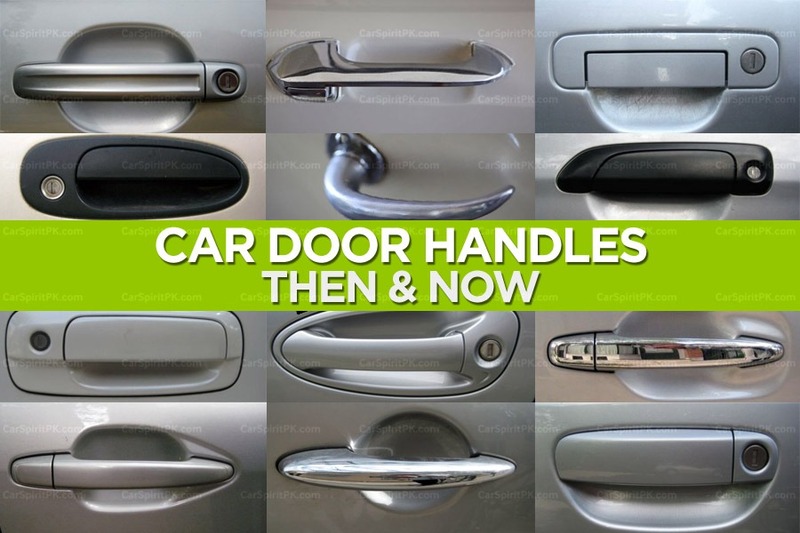 Since all these years there are innumerable number of designs and styles implemented by different automakers for the very purpose of opening the car door. 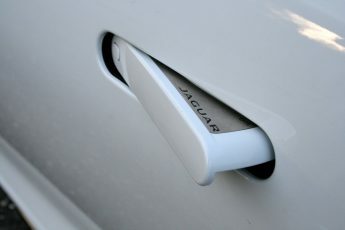 Door handles are one of the most important element of car design, it is your very first interaction with the car itself. 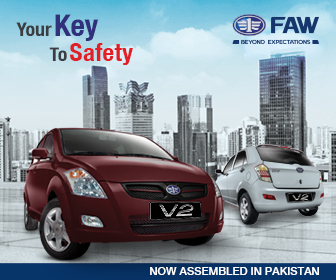 Not only that they give style to the vehicle, the way they let you in, accentuates your affection with the car. Related: When Cars Looked Like Cars.. 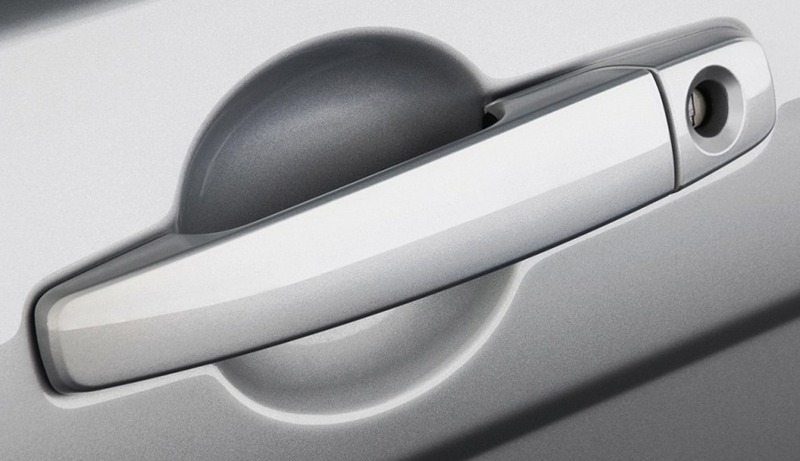 Although it might not be possible to mention every single door handle type here, still these were the most common car handle types available. And if you are among those who have had a chance to experience the cars from the 1960s & 70s, I am sure you are going to enjoy the read below. Obviously inspired by conventional architectural door handles, these were commonly found in the most primitive automobiles. These were found in cars till 1970s and were forced to phase out due to safety regulations. They were made of metal and you’d need to press the button to get the door opened. Often the key opener was found right there in the button, however in some cases it was embedded in the door. 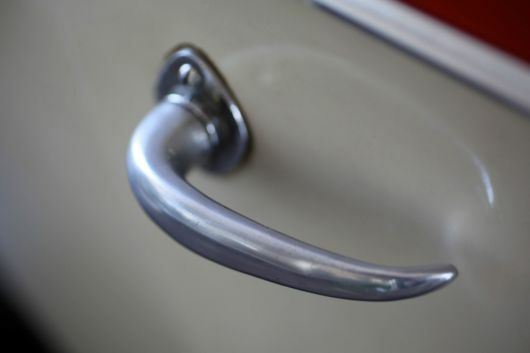 These type of handles were also available till the 70s. 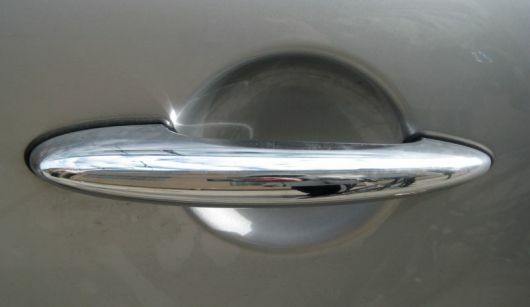 Instead of the button on a chrome handle, they used to have a trigger at the inside of the handle and needed to be ‘triggered’ to open the door. 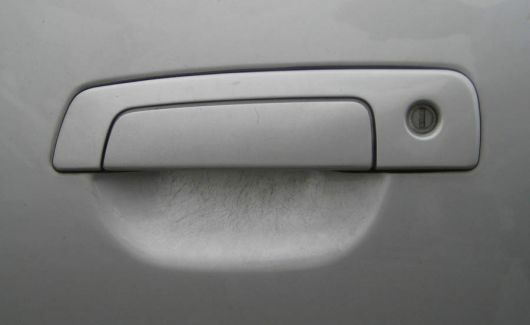 Although found in cars from the 60s & 70s, the flap type door handles were found even in the 90s. The most recent example is the 5th generation Honda Civic. 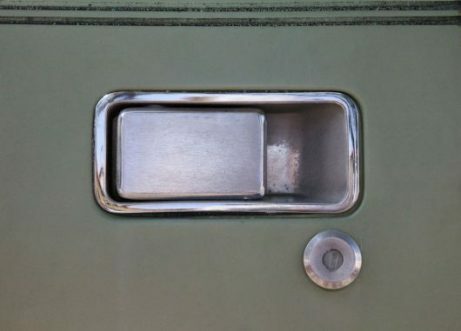 You need to pull back the flap in order to open the door. 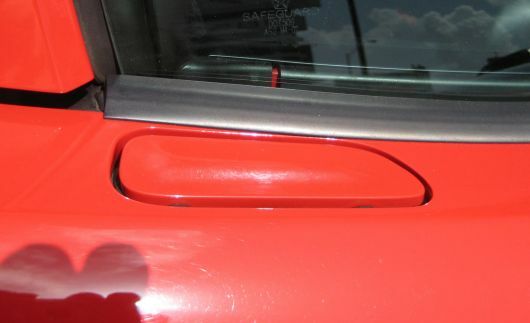 In some exotic cars a slimmer version of the flap type handle was found which being so slim could be opened with a finger only. 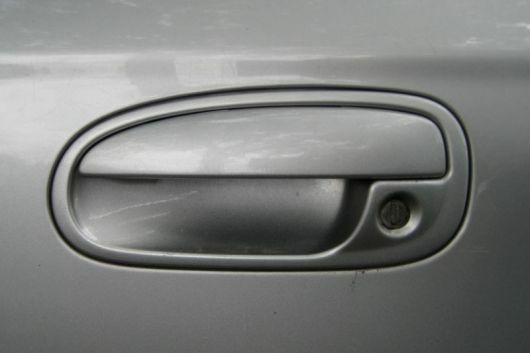 Instead of pulling, these door handles allowed you to press the handle in order get the door opened. The orientation was different depending on the vehicle design, some were mounted laterally, while some placed on the apex. 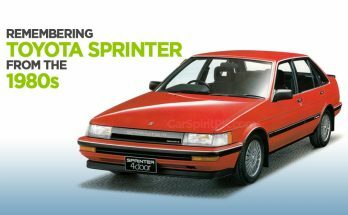 These were extremely common in the cars from the 80s and 90s. 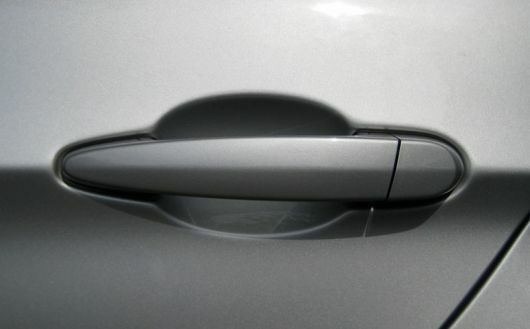 You simply need to pull up the handle to get into the car. Depending on the vehicle, they were available in different shapes and designs. 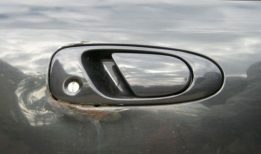 While for the automakers, they were extremely cheap alternative to the metallic or complex expensive door handles from the past. But as the safety regulations became stern, these were dropped in favor of the pull-out type handles. Another iteration to the pull-up door handles was there with a static, mostly metallic upper part with an embedded trigger underneath, which needed to be pulled up to open the door. Such as the first generation Daihatsu Charade G10. 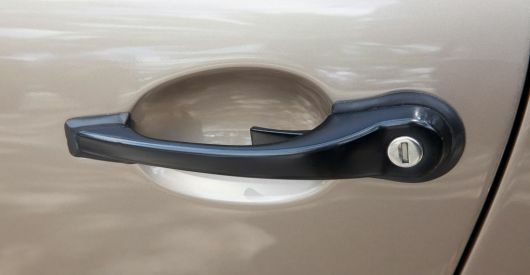 These are the most commonly used door handle type used these days by almost every auto manufacturer. First is the safety reason, they aren’t fragile and don’t break as easily as the pull-up type. Secondly they are cheaper to make. The “grab” part, and the “latch” part, are one piece, simple! Also they are aligned with the direction of forced applied to open the door, contrary to pull-up types where the force is applied upwards to open the door outwards. 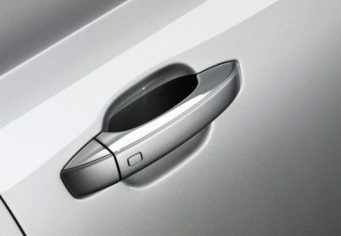 Another key reason of introducing these door handles is the increasing number of women buying the cars. Ask any female with long fingernails which handle they like better. 100% of them would say the pull-out handle since it’s much easier to grasp without breaking a nail. 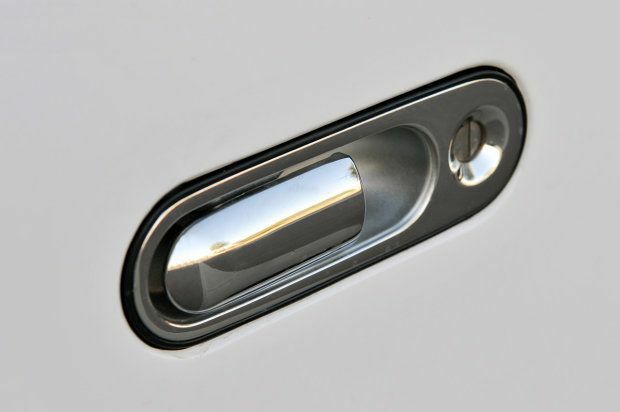 And with autonomous and alternate energy vehicles being tested and developed in large numbers, here comes the touch door handles. 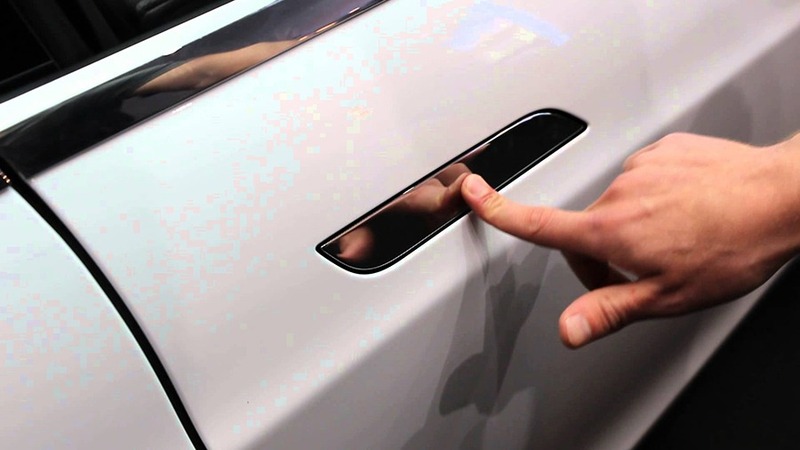 Tesla has already implemented the touch door handles in its cars and will soon be followed by other automakers developing modern electric & driver-less cars. 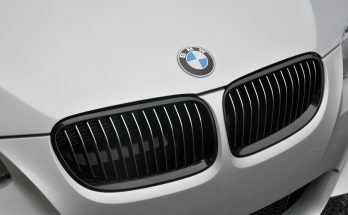 Why Do Cars Have Grille?